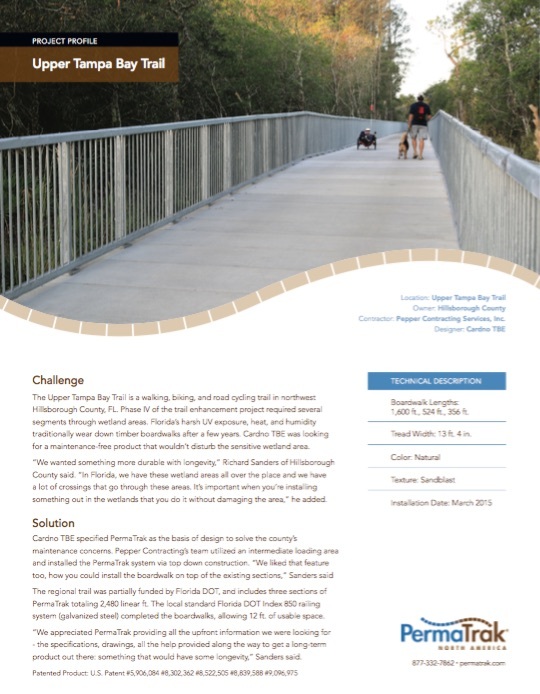 Case studies that describe the boardwalk challenges landscape architects and engineers have faced - and how PermaTrak provided a cost-effective solution. It's easy, simple, and free to learn more about your concrete boardwalk system options. Fill out the form on the right, and you can immediately download the pack of 7 PermaTrak Project Profiles. We’ll send a copy to your email, too. Get Your Project Profiles Packet Now!